Daniel P. Jaffke was born on September 18th, 1983 to Thomas and Donna Jaffke in Indianapolis, IN. 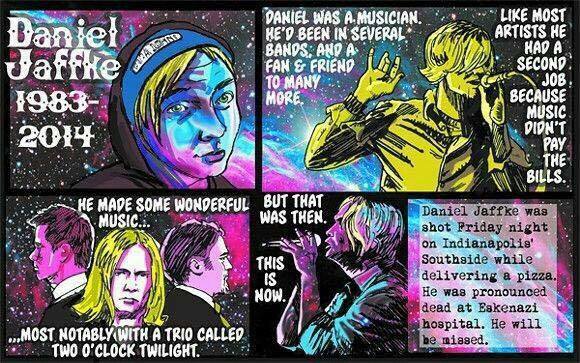 Born with a passion for music, Daniel's creative talent was something he needed to share with the world. This memorial is dedicated to doing just that. Said a friend of Daniel's, “That night, the world lost a true Irish soul. His friends lost the most loyal person they knew, his family lost a beautiful member of their clan, and the world was one more good person short."